SAR in a particular FDTD cell is calculated from dissipated power density pd, extracted in that cell, and density of its filling material. 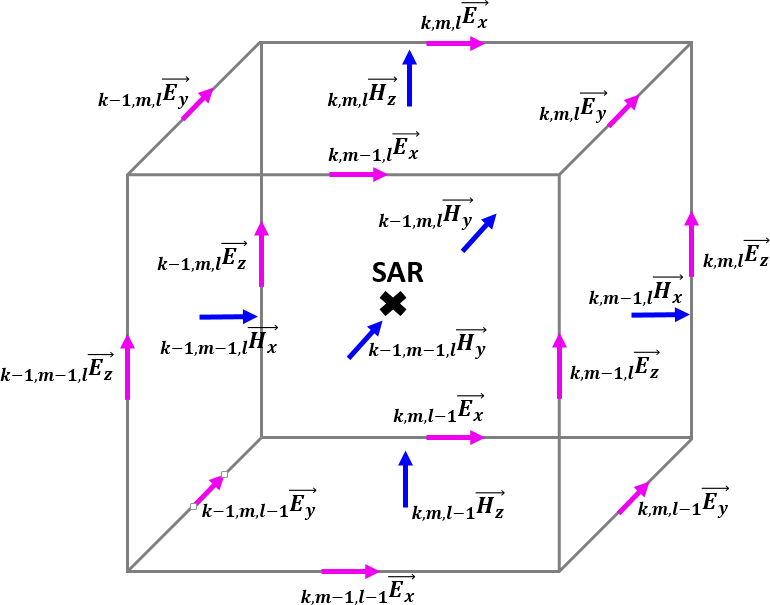 The unit for SAR is [W/kg]. 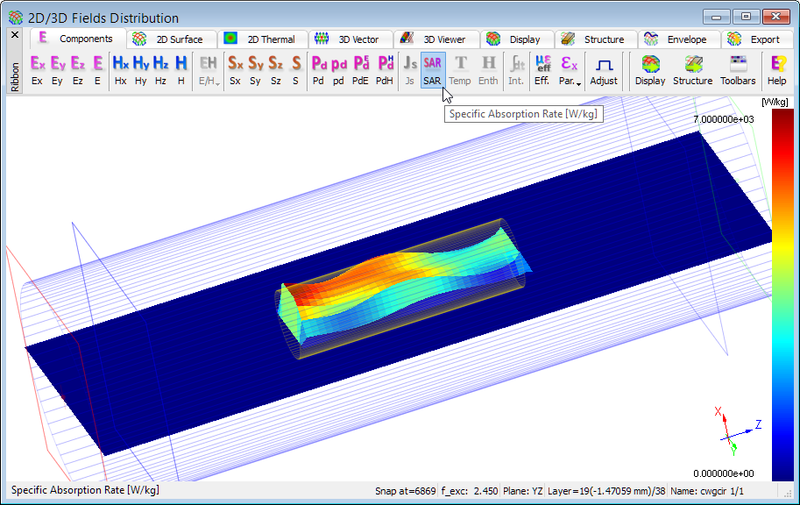 Please note that when converting dissipated power density to SAR, in case of FDTD cells filled with more than one medium, QuickWave performs conformal averaging of density between materials filling a cell. 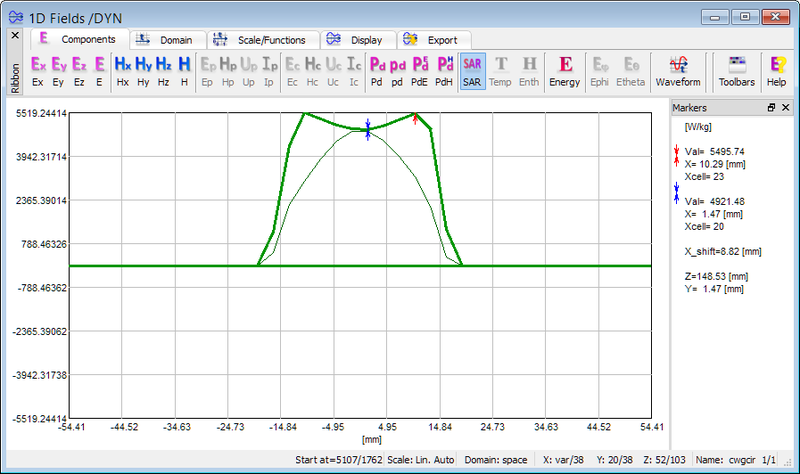 QuickWave delivers 1D distribution display, which allows for time domain monitoring of SAR along any line parallel to one of the coordinate axes or deliver SAR in a particular point of the circuit versus time. The 1D monitoring delivers instantaneous and envelope (time-maximum) values of the SAR and is available in 1D Fields window. QuickWave delivers also the time-dependent 2D distribution of the SAR (in areas declared as lossy and dense), which is available for every FDTD layer along each of three axes. 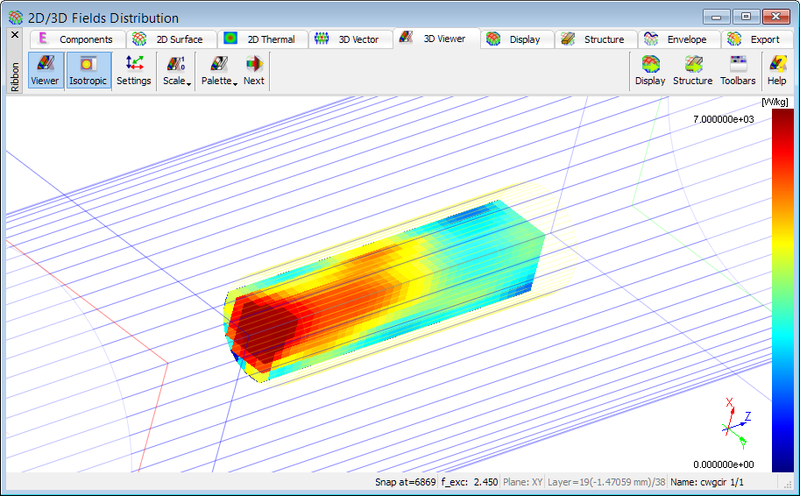 The distribution of SAR is available in the 2D/3D Fields Distribution window. The user can view instantaneous, time-maximum, and time-average values of SAR. Time dependent SAR distribution is also available as a Viewer 3D display. 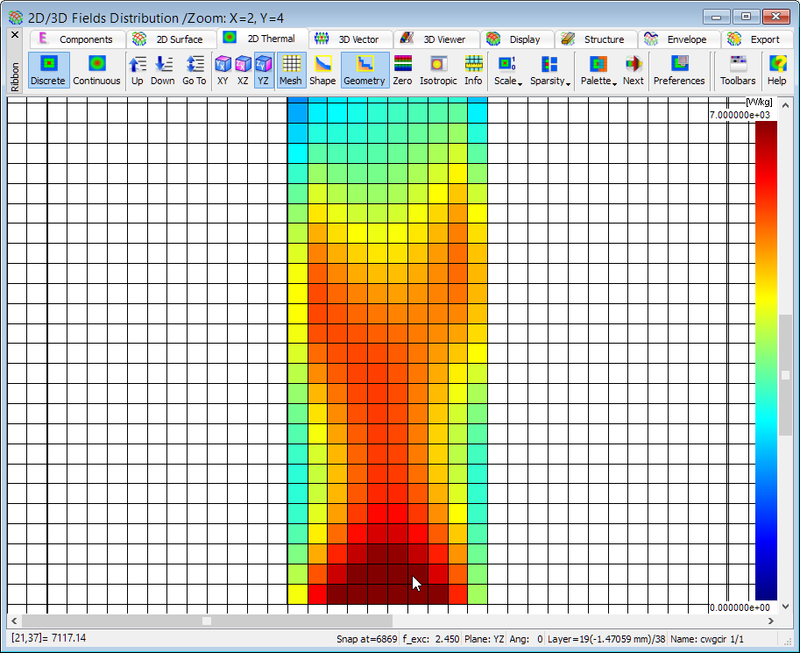 This feature is available in the 2D/3D Fields Distribution window and it enables viewing instantaneous, time-maximum, and time-average values of SAR. See also online documentation about SAR.